This name uses Spanish naming customs: the first or paternal family name is Keen and the second or maternal family name is Fernández. Dafne Keen Fernández (born 4 January 2005) is a British and Spanish actress who played the role of Ana "Ani" Cruz Oliver in the television series The Refugees, and the mutant Laura Kinney / X-23 in the 2017 film Logan. She is the daughter of British actor Will Keen, and Spanish actress, theatre director and writer María Fernández Ache. Her paternal great-grandfather was peer Edward Curzon, 6th Earl Howe. Keen made her acting debut in 2014 alongside her father Will Keen with the television series The Refugees, where she played Ana "Ani" Cruz Oliver. 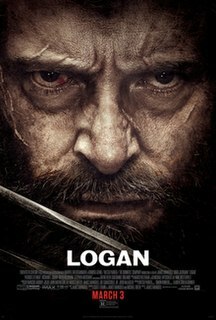 Keen starred in the 2017 film Logan as Laura, the mutant child of Wolverine. ^ "Dafne Keen on Instagram: "Had the best 14th birthday ever on the 4th!!!! 🖤 I couldn't post until now but it was AMAZING"". Instagram. 7 January 2019. Retrieved 7 January 2019. ^ "Logan's Dafne Keen: cutting her teeth – and claws – on the big screen as X-23". The Guardian. 16 February 2017. Archived from the original on 3 March 2017. ^ Levine, Daniel S. (20 October 2016). "Dafne Keen as X-23: 5 Fast Facts You Need to Know". Heavy.com. Retrieved 24 October 2016. ^ "'Logan' Image Teases Dafne Keen as Mutant X-23". Entertainment Weekly. 23 October 2016. Retrieved 24 October 2016. ^ "First look at 'Logan' star Dafne Keen and Andy Garcia in 'Ana'". 18 July 2017. Retrieved 9 September 2017. ^ Childress, Erik (10 December 2017). ""Call Me By Your Name" and "The Shape of Water" lead 2017 Chicago Film Critics Association Nominees". Chicago Film Critics Association. Retrieved 11 December 2017. ^ Stone, Sasha (12 December 2017). "Houston Film Critics Release Nominations". Awards Daily. Retrieved 12 December 2017. ^ Hammond, Pete (6 December 2017). "Critics' Choice Awards Nominations: 'The Shape Of Water' Leads With 14; Netflix Tops TV Contenders". Deadline Hollywood. Retrieved 6 December 2017. ^ Lodge, Guy (19 December 2017). "'Three Billboards,' 'Phantom Thread' Lead London Critics' Circle Nominations". Variety. Retrieved 2 January 2018. ^ Travis, Ben (18 January 2018). "Star Wars The Last Jedi and Thor Ragnarok Lead Empire Awards 2018 Nominations". Empire. Wikimedia Commons has media related to Dafne Keen. 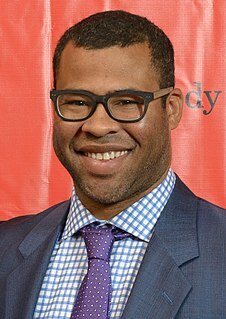 Jordan Haworth Peele is an American actor, comedian, and filmmaker. He is best known for his film and television work in the comedy and horror genres. 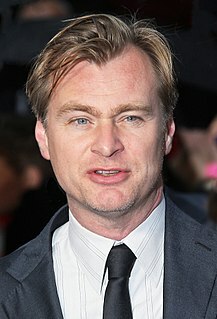 The following is a list of awards and nominations received by English filmmaker Christopher Nolan. Throughout his career, Nolan has been nominated for various awards, including five Academy Awards, five British Academy Film Awards, and six Golden Globe Awards. Allison Howell Williams is an American actress who played Marnie Michaels on the HBO comedy-drama series Girls and was critically acclaimed for her performance in the 2017 horror film Get Out. Emily V. Gordon is an American writer, producer and podcast host. Loving is a 2016 historical drama film written and directed by Jeff Nichols. The film tells the story of Richard and Mildred Loving, the plaintiffs in the 1967 U.S. Supreme Court decision Loving v. Virginia, which invalidated state laws prohibiting interracial marriage. The film stars Joel Edgerton as Richard Loving, with Ruth Negga co-starring as Mildred Loving. Marton Csokas, Nick Kroll, and Michael Shannon are all featured in supporting roles. The film takes inspiration from The Loving Story (2011) by Nancy Buirski, a documentary which follows the Loving's, and their landmark case. Millicent "Millie" Simmonds is a deaf American teen actress who starred in the 2017 drama film Wonderstruck and the 2018 horror film A Quiet Place. For both films, she was nominated for several awards for best youth performance. In television, she appeared in Andi Mack in 2018 and will appear in This Close in 2019. Dunkirk is a 2017 epic war film directed, co-produced, and written by Christopher Nolan. The film depicts the Dunkirk evacuation of World War II. Its ensemble cast includes Fionn Whitehead, Tom Glynn-Carney, Jack Lowden, Harry Styles, Aneurin Barnard, James D'Arcy, Barry Keoghan, Kenneth Branagh, Cillian Murphy, Mark Rylance and Tom Hardy. The film had its world premiere at the Odeon Leicester Square in London on 13 July 2017 and was released to theaters on 21 July 2017. The Shape of Water is a 2017 American romantic dark fantasy drama film directed and produced by Guillermo del Toro. Written by del Toro and Vanessa Taylor, the film stars Sally Hawkins as a mute custodian at a high-security government laboratory during the Cold War in Baltimore, where she befriends a captured humanoid-amphibian sea creature. Michael Shannon, Richard Jenkins, Doug Jones, Michael Stuhlbarg and Octavia Spencer feature in supporting roles. Get Out is a 2017 American horror film directed by Jordan Peele. The screenplay, also written by Peele, is a critique of racism hidden in the United States. The film stars Daniel Kaluuya as a black man who visits the family of his white girlfriend, who kidnap and brainwash African-Americans into servitude. Bradley Whitford, Caleb Landry Jones, Stephen Root, Lakeith Stanfield, and Catherine Keener co-star. The Florida Project is a 2017 American drama film directed by Sean Baker and written by Baker and Chris Bergoch. It stars Brooklynn Prince, Willem Dafoe, Bria Vinaite, Valeria Cotto, Christopher Rivera, and Caleb Landry Jones. The plot follows a six-year-old girl living with her rebellious mother in a motel in Kissimmee, Florida as they try to stay out of trouble and make ends meet. The Florida Project premiered in the Directors' Fortnight section of the 2017 Cannes Film Festival, and was theatrically released in the United States on October 6, 2017, by A24. Blade Runner 2049 is a 2017 American neo-noir science fiction film directed by Denis Villeneuve and written by Hampton Fancher and Michael Green. A sequel to the 1982 film Blade Runner, the film stars Ryan Gosling and Harrison Ford, with Ana de Armas, Sylvia Hoeks, Robin Wright, Mackenzie Davis, Carla Juri, Lennie James, Dave Bautista, and Jared Leto in supporting roles. Ford and Edward James Olmos reprise their roles from the original film. Set thirty years after the first film, Gosling plays K, a blade runner who uncovers a secret that threatens to instigate a war between humans and replicants. The film was released on October 6, 2017 in the United States and has grossed $259 million worldwide.